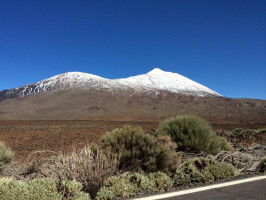 Don’t be limited by your feet or confined to a car, and use pedal power to discover the sites of Tenerife. Burn some calories while you enjoy with your family and friends of beautiful environment. 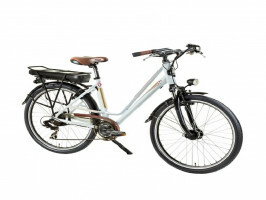 Mid-range e-bike, intended for in-town riding, suspension fork, high speed engine, lights, kickstand, bell, luggage carrier, chain guard. People between 14 to 17 years old require to be accompanied by an adult during use. Delivery is only for the south of the island. Delivery and collection will be at the same place as requested by clients. If the bikes are hired only for 1 day they have to be returned the same evening, not the following morning. For customers outside the south the furthest collection point is San Isidro. We will not deliver the bikes in the North, the customer have to do it themselves they would have to collect and give back in San Isidro. 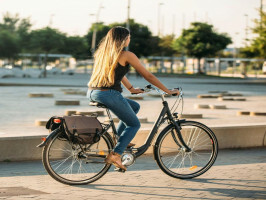 For customers who take the bike to the north you should be charged a deposit of € 100, in case of not returning the bike in the south, they will lose the deposit. Remarks: - people between 14 to 17 years old require to be accompanied by an adult during use. - Delivery is only for the south of the island. Delivery and Collection will be at the same place as requested by clients. If the bikes are hired only for 1 day they have to be returned the same evening, not the following morning. For customers outside the south the furthest collection point is San Isidro, and the client will be require dot pay €100 deposit incase they do not bring back and we have to go and collect.